Some drivers never seem to get the message about the dangers of DUI in Los Angeles, no matter how many times they face arrest, pay fines or waste days or weeks (or longer) in jail. A judge in Nashville, Tennessee, gave a local DUI defendant plenty of time to ponder her driving decisions and their effects on others’ lives. Judge Monte Watkins sent Stephanie Ferguson, age 30, to prison for 26 years after she caused an accident that killed two men in their 60s. The worst aspect of the case? 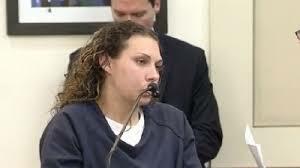 Ferguson caused into the fatal collision just two hours after pleading guilty to her second DUI. On January 22, 2015, a judge sentenced Ferguson to two days in jail and put her on probation for a year. Ferguson also lost her license, but that didn’t stop her from driving her red pickup truck just two hours later. She reportedly came over a bridge and slammed into a white Cadillac stopped at a signal. Two of the vehicle’s occupants received fatal injuries. Emergency responders transported six other people to the hospital as well. Ferguson pleaded guilty to aggravated vehicular homicide, but she asked the court for mercy, claiming she had learned her lesson. An unsympathetic Judge Watkins pointed out that the defendant had received a break on her previous sentence and hadn’t learned her lesson. The prosecutor added that Ferguson had received many previous breaks; she had five probation violations and 23 misdemeanor convictions to her record. Ferguson also admitted to snorting cocaine and taking three to four doses of heroin a day before she ended up in jail after the fatal accident. In California, Ferguson might have faced charges of DUI murder under the state’s Penal Code 1915(b), since prosecutors could have argued that she acted with a conscious disregard for human life. Attorney Michael Kraut of the Kraut Law Group has been an effective Los Angeles DUI defense attorney for nearly two decades; he and his team can help you identify an appropriate strategy.